This year’s two-week summer program run by LAU’s Communications Arts Department goes beyond the Arab region to include participants from Europe and Asia. The 75 registered participants at the MDLAB summer academy were joined by LAU students and members of the public for lively discussions following engaging presentations. Founding director of MDLAB and chair of the communication arts department Jad Melki at LAU was among the many to give presentations that emphasised the importance of media literacy. Panel discussions engaged a number of local activists who spoke about their experience of and engagement with the media. 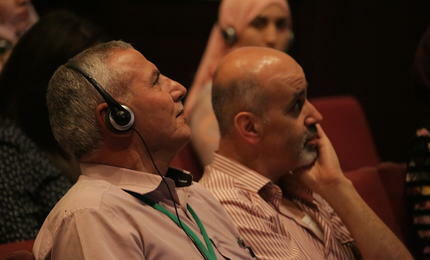 Participants at this year’s MDLAB summer academy came form both within the Arab world and from Europe and Asia. 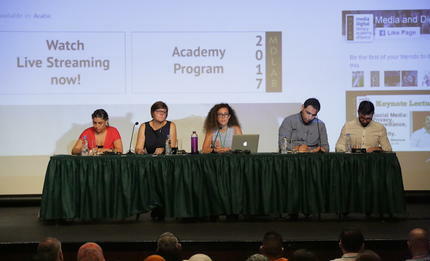 The fifth annual summer session of the Media and Digital Literacy Academy in Beirut (MDLAB) concluded with presentations and celebrations engaging dozens of students and academics from across the Arab region and beyond. Organized by the LAU’s Institute of Media Research and Training (IMRT) and sponsored by the Norwegian Embassy, the academy ran from August 7 to 19 and hosted participants from all around the world. “I returned to Lebanon in 2009 and discovered that there was no media literacy concept in the Arab world,” says Jad Melki, director of the institute and chair of LAU’s communication arts department. 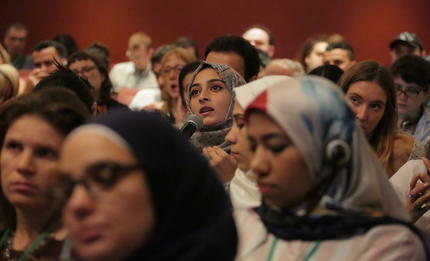 “So we held a conference in 2011, which then developed into a summer academy for media and digital literacy education.” MDLAB’s two-week summer program is complemented by advocacy initiatives which have to date seen 35 universities and more than a dozen schools in the region incorporate media literacy courses into their programs. These have been supported by training and curriculum-building offered by Melki and his colleagues. The 75 registered participants at this summer’s academy honed their technical and professional skills during afternoon workshops in digital safety, editing software, data visualization, dealing with fake news, and cultural identity, among others. “The technical skills workshops were highly beneficial,” says participant Bassam Jaafar, a student of advertising at the Lebanese International University. “Today’s language is media, and to know and understand a society we must look at its media,” adds Jaafar, explaining his motivation for applying to the academy. He and his fellow participants also engaged in a series of morning lectures, each focusing on a different topic of interest and relevance to societal issues and media practice, as did LAU students and the wider public. 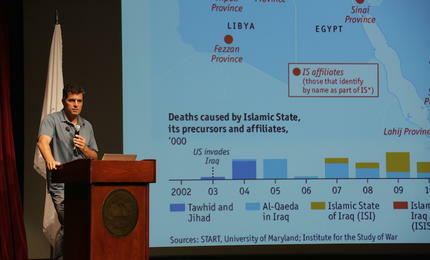 Among the focus topics that prompted informative and oftentimes animated discussions were social media surveillance, the ISIS media strategy, ethical data management, digital technology and addiction, and the portrayal of women and sexuality in the media. Such discussions benefit greatly from activists based in the region who either work within the media or in collaboration with the media to advance social discourse and legislation. “We have a wide network of activists who are always willing to share their experiences and lessons learned, and we invite experts from abroad to give specialized lectures and workshops,” explains Melki, adding that his goal is to strengthen such skills within the region so that future academies will be run and led by local talents.